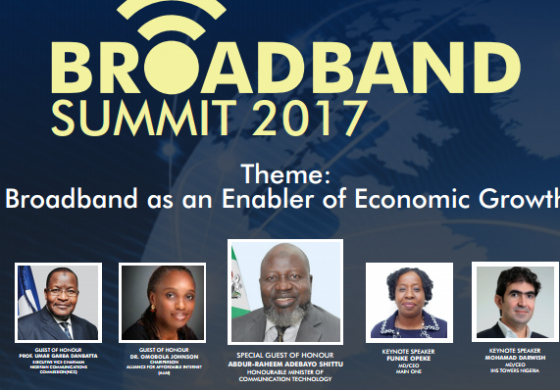 Stakeholders in the telecommunications industry in Nigeria have converged at the Business Day Broadband Summit, which is taking place in Lagos, to deliberate on how to grow the country’s economy through broadband penetration. The event is a brainchild of Business Day Media Limited, publishers of a reputable business newspaper in Nigeria, Business Day. The event is ongoing at the Wheatbaker Hotel in Ikoyi Lagos, and has in attendance experts in the telecoms sector in the country led by Minister of Communications, Mr Adebayo Shittu. The theme of the summit is ‘Broadbank as an Enabler of Economic Growth’ and various speakers have started to share their thoughts on the topic. Speaking at the event today, the CEO of Spectranet, Mr David Venn, noted that the QoS quality has fallen in the past 6 months because of Nigeria’s huge data hunger. He called for openings in the sector to meet the demands of consumers.